c k, 26 Feb 2012i don't know the way how to use 3G internet on my xperia?you must have 3G sim and thro that browse youtube video on mobile, connect your mobile with laptop or desktop and you can realize browsing speed. shaiju cs pachamala, 24 Feb 2012how can i do adjust sound quality.l mean eqliser.please give me idea.thanksyou don't find n equalizer in 2.1 music player. Upgrade to gingerbread, it has equalizer in it..
sony offers the best camera!! AnonD-43831, 26 Feb 2012i've upgrade my phone to ginger bread, LOLcan u plz tel me th procedure .......! dont get this phone! it has too many features it cant handle! Dave, 21 Feb 2012it's because galaxy y has 800 mhz processor and x8 has 600 mhz, but if you've rooted galaxy y ... moreyes they can go for galaxy y because of faster processor and like you said you can under clock it to consumed less battery and don't mind the poor resolution 240 x 320, 2mp camera, low quality plastic and lack of good gpu of galaxy y.
naim, 24 Feb 2012um jst waitin fr da ryt decision imean i wanna buy se x8 bt some1s tellin me dat sgy is better... morenah i have compared it and the battery life of xperia x8 is better than galaxy y may be because of the processor speed of galaxy y(800mhz) x8 has 600mhz that much slower but consumed less battery. 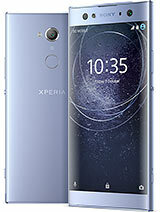 may be you can go for galaxy y that is much cheaper than xperia x8. Rabin, 26 Feb 2012 plz help me anyone i can not see the file manager on my sony ericsson e15i.plz tell me the so... morei don't know the way how to use 3G internet on my xperia? plz help me anyone i can not see the file manager on my sony ericsson e15i.plz tell me the solution. How to sign out with my email account? I have problem with my Xperia X8 when iput mp3 files on my SD they work fine ..the nsuddenly they are corrupted !! even if i try to ply them on my PC they are corrupted !! can any one help me please !! !